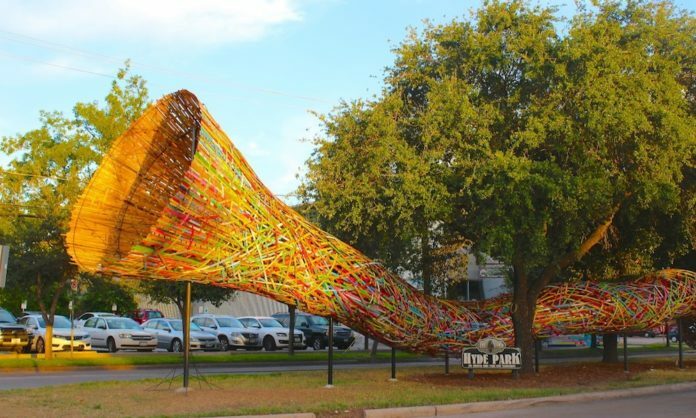 Snaking down the Montrose esplanade across from Art League Houston, you’ll find Funnel Tunnel, a 180-foot long temporary public art sculpture by Houston’s own Patrick Renner. Commissioned by Art League Houston, Renner crafted the Funnel Tunnel from steel and wood that was reclaimed from a cotton gin. Multi-colored strips of wood wind through a steel frame, stretching from a single point at the tail to a wide gaping maw aimed towards the heavens on the other end. 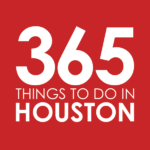 Art League Houston said it is a celebration of the creative individuals and businesses in the Montrose neighborhood. 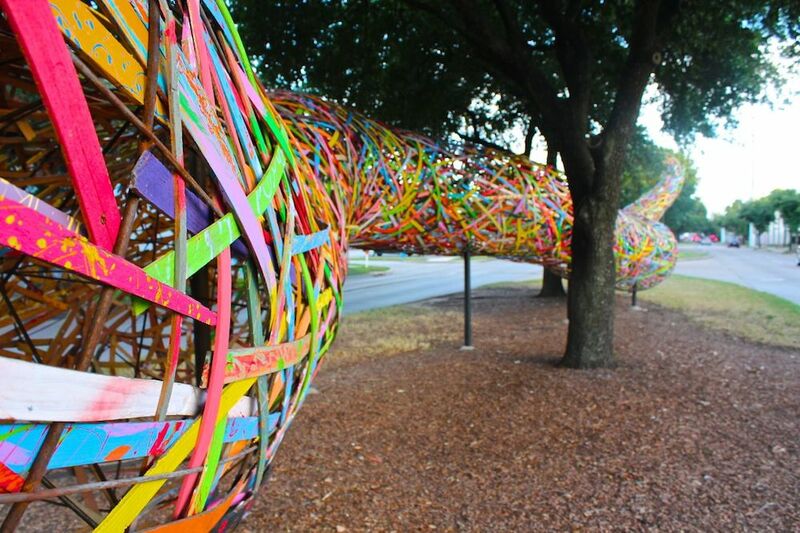 City permits only allow for temporary exhibitions on city medians, so the Funnel Tunnel will remain woven between the four Montrose trees for only nine months. Renner and Art League Houston both hope the work will find a permanent home on public display in Houston after the city permits expire in April 2014. Funnel Tunnel has been constructed in the median between the north and south bound sides of Montrose. You’ll find it between West Gray and Westheimer. Art League Houston has called the Funnel Tunnel “drive-by art” and discouraged visitors from crossing Montrose on foot to visit the median. 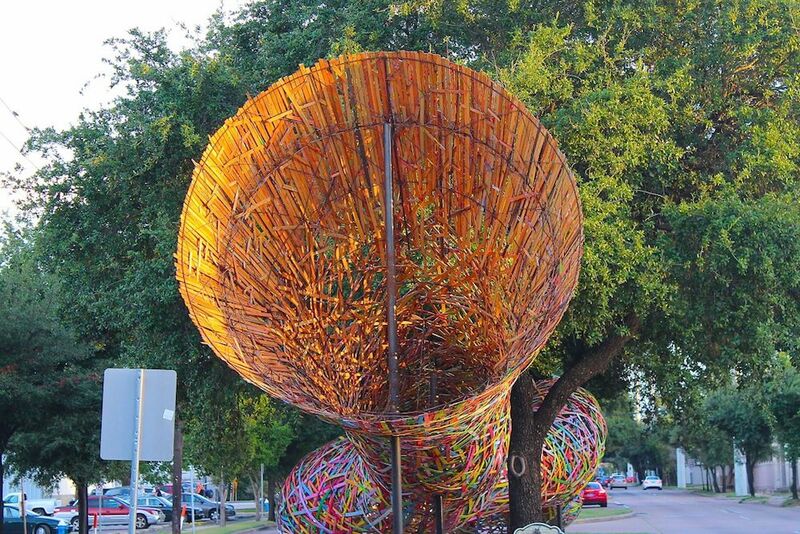 Funnel Tunnel was dedicated to the late Houston sculptor Lee Littlefield, who died on June 9, 2013. UPDATE 2/8/15: The Funnel Tunnel was disassembled on Sunday, February 8, 2015 and relocated to Poydras Street in New Orleans. Parking: Free parking is available at Art League Houston and Inversion Coffee House. However, Art League Houston asks that people not walk into the street or visit the median.